Health is an essential part of a child’s development. Health is an essential part of a child’s development, as healthy children are better prepared to learn. Head Start staff ensures that every child has a medical and dental home upon entry into the Head Start Program. We have a LPN Nurse on staff that is available to assist parents with any medical or dental concerns, assist with making appointments, and follow-up with families to ensure that children receive any additional recommended treatment. Every child attending the program receives a vision and hearing screening. If a child has not had their lead or hemoglobin level checked, the nurse will complete these screenings as well. 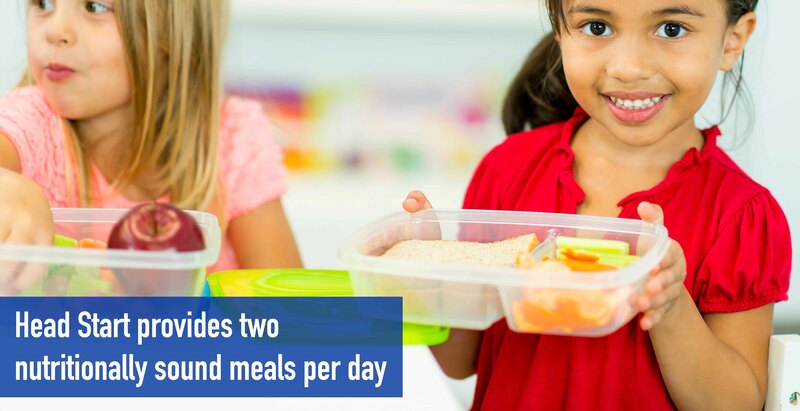 Head Start provides two nutritionally sound meals per day in accordance with Ohio Child Care Licensing requirements. Our Health and Nutrition Manager is supervised by a Registered Dietitian who oversees and plans menus, makes arrangements for students with special dietary needs, and analyzes growth assessments. The Registered Dietitian and the Health and Nutrition Manager are available for consultation with our families as needed.